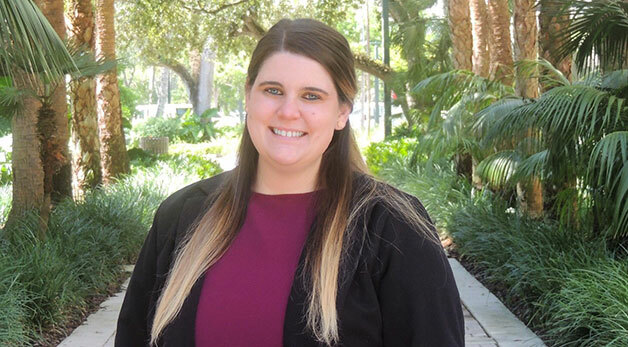 Third-year law student Elizabeth Montano was recently named a 2019 Law360 Distinguished Legal Writing Award winner. Montano, who serves as Editor-in-Chief of the University of Miami Law Review, was one of ten law students around the country to receive this prestigious award, and the second Miami Law student to win. Now in its 20th year, the Burton Awards rewards great achievements in law, with a special emphasis on writing and reform and is presented by The Burton Foundation, in association with the Library of Congress and Law360. The winners are selected by law school professors from Harvard Law School, Stanford Law School, and UC Berkeley Law School. Montano’s paper, “The Bring Your Own Tampon Policy: Why Menstrual Hygiene Products Should be Provided for Free in Restrooms,” argues that not providing menstrual hygiene products for free in restrooms is a violation of human rights and of equal protection. Montano’s note came about after she read a letter from the Immigration Clinic, where she serves as a Fellow, to one of Florida’s immigration detention centers. “The letter included the story of a woman who had been placed in immigration detention and denied any menstrual hygiene products before she was transported to immigration court,” explained Montano. “Because of this, she had to stand in front of an immigration judge in her blood-stained clothes. I felt that this was truly appalling and unacceptable, and started doing more research. I found that this is a severe problem throughout not just detention centers and prisons, but also schools and workplaces as well. In addition to her work with the Immigration Clinic and the University of Miami Law Review, Montano has served as a Dean’s Fellow for Professor Irwin Stotzky’s Elements class and as a research assistant for Professor Peltz. Montano is the third Miami Law student to win a legal writing award in the past two years. J.P. Shami received the Law360 Writing Award in 2017 and Nicole Chipi won the 2018 Brown Award for Excellence in Legal Writing.